Never go back. That’s what they say; whoever ‘they’ may be. I’ve taken that advice for thirty years, but a few weeks ago I decided to go and visit the school where I spent my adolescence. I hadn’t visited since I left there a month before I turned eighteen and have never felt any desire to return. But, unsure of whether I was being drawn by mid-life nostalgia or just natural curiosity, I decided to contact the Head and ask if I might drop in for coffee. 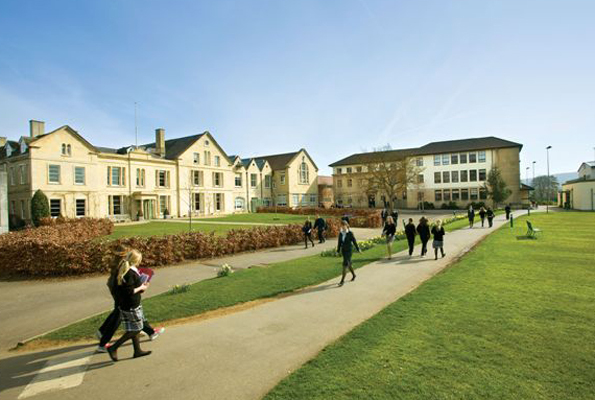 Wycliffe College is an independent school in Gloucestershire. I started there as a day-boy and ended up boarding for my sixth-form education. It was never a very smart school, although, when I was there, I think the governors had aspirations to make it rather smarter than it was. They wanted it to compete with Stowe and Radley, but it remained steadfastedly a school for the sons (and in the sixth form only, daughters) of farmers, doctors, solicitors and small business owners of the West Country and South Wales. I remember it as being absolutely ghastly for the first three years that I was there and then enormously fun for the final two. Pastoral care was haphazard. 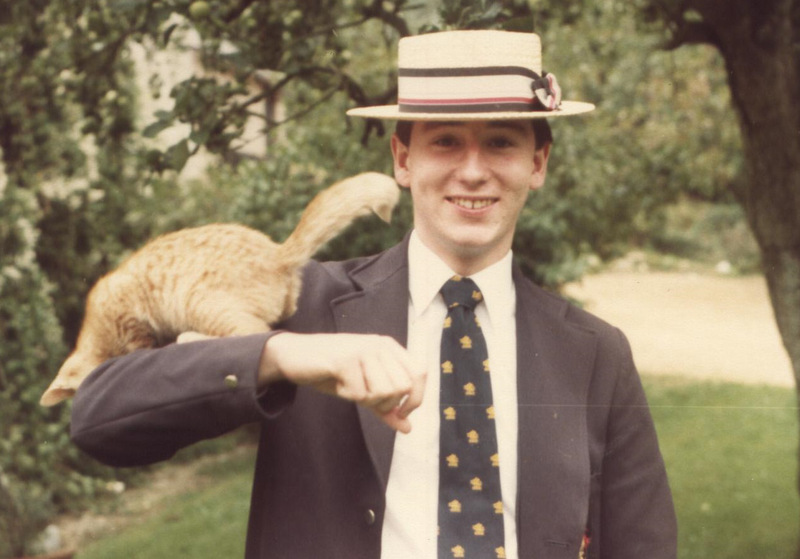 I was bullied (in a fairly mild, but nevertheless hurtful way) as a junior by my peers for a variety of reasons – some of my own making and some for which I take no blame; this behaviour was condoned by senior boys in my house and my housemaster either ignored it or was ignorant of it. In the sixth form, however, I became more confident and developed a network of good friends. I was made a prefect and am still proud of the fact that a group of us set out to combat bullying and create an environment for the younger pupils that was safe and as enjoyable as a rather Spartan boarding school can be. And, like many adolescents, this time was one of exploration as I discovered and become comfortable with my own sexual identity; though I did so without any support, advice or guidance from the adults who were tasked with looking after a large group of hormonal teenagers. Looking back, I realise that some of the teaching was truly excellent – I owe my good ‘A’ level results and getting into Bristol University to three brilliant teachers, Messrs Eagers, Jones and Poulton. But some of it, particularly to junior classes, was simply appalling. My interest in Science, which had led me to getting the school prize in prep school, was completely destroyed by one physics teacher, who terrified me so much on my first day in his class that I never dared raise my hand or risk asking a question when I didn’t understand. This led to me giving up science as quickly as I could. It was the extra-curricular opportunities that really helped me move from frightened thirteen-year-old to a more self-assured seventeen. I hated sport – my lack of any eye-to-hand co-ordination meant that I was completely useless at anything that involved a ball. But twice a week we had Scouts. You had to choose between joining the Troop or the Combined Cadet Force and I decided that as the former didn’t include marching and being shouted at, it seemed a better option. In Scouts I learned to cook, canoe and camp; I started my Duke of Edinburgh’s Award journey; as a Patrol Leader, I began to learn about leadership. In the Sibly Hall, I discovered drama and took part in every play that was staged. I became Chairman of the Chapel Guild, to the amusement, I suspect, of my Jewish father. I joined the debating society, known as LitSoc, and represented the school at regional and national public speaking competitions. And, allowing my inner geek to make its first real appearance, I became actively involved with Hospital Radio and ended up presenting a weekly show for the patients of Standish hospital for a couple of years. My memories of the school are therefore mixed – and, I guess, are similar to many of those who were educated in a British minor public school in the late seventies and early eighties. But I realise that it was at Wycliffe that I developed many of the interests and values that have now come to define me. In working to do something about the culture of bullying, I found a commitment to social justice. Through Scouting and the Duke of Edinburgh’s Award I discovered the importance of service to others and a love for adventure. Through debating. 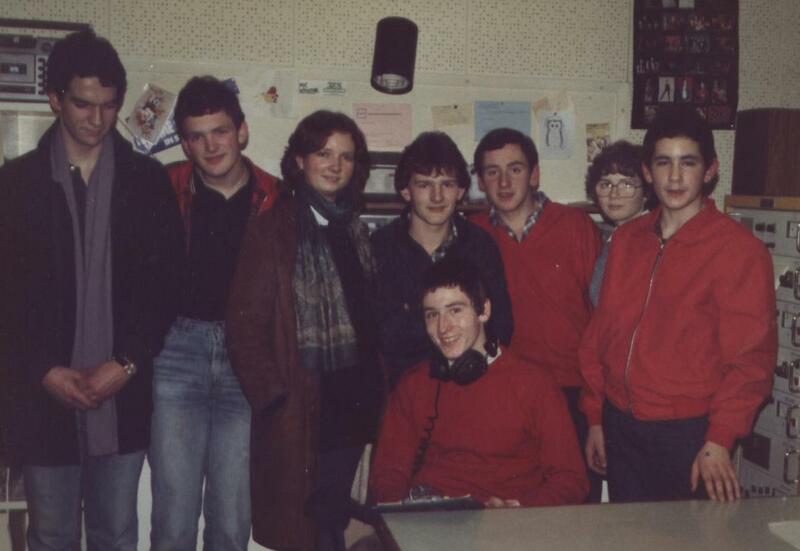 radio and drama I began to hone the skills of performance. And in the chapel, I began to find my own personal relationship with God. So, as I drove through the gates of the school, I wondered what I would find. I’m not sure what I expected. I visit schools regularly as part of my job, so the now wonderful teaching and sports facilities I encountered were no surprise. Equally, the fact that the pupils today have considerably better food than I had experienced as a child, eaten in much more conducive surroundings, was only to be expected. But three things did surprise me. The first was the Head. Margie Burnet Ward is the first female headteacher that the school has had in its long history. She is a witty, intelligent and charismatic person. As we discussed current education policy and a myriad of other topics, I realised that I was meeting a really impressive business leader. But it was when we had lunch together with a group of students that I was able to see what makes Margie truly special. She combines the traditional traits of good headship, such as high aspirations for her pupils and that certain presence that cannot really be described, only experienced, with something very 21st century – a relationship with the children of the school that is genuinely and overtly loving and caring (without being soppy.) She is openly excited by what excites the teenagers around her. She is friendly and approachable, in the way that a good parent is. She cares – and she shows she cares. Even in the short time that I visited, I could see that her style of leadership is mirrored by many of her staff, to the benefit of the children, who themselves are unaffectedly warm, open and confident. The second thing that surprised me was that the school seems to have found itself and is comfortable in its own skin. It is no longer battling to compete with more fashionable schools. It has a large international intake as well as its pupils from its traditional catchment area. Learning to live together in a community that is supportive and cohesive seems to be an important part of the school’s ethos. Competition between houses (in games, drama or music) appears to be exceptionally fierce, but very, very good-natured and even slightly self-mocking. Service to others is valued. And success, in whatever sphere, seems to be celebrated widely. Of course my spectacles may be rose-tinted, but it really doesn’t seem just to be the talented sportsmen and women who are made to feel important. There is a real desire to find the potential in each student and to help them make the most of it. And the final surprise was that everywhere I went, I found tiny unexpected reminders of my own experience at the school. There was the drain cover that I remember stepping over every day; there was the smell in the chapel of polish and burnt dust; on the second floor of Wards House there was my former study bedroom, identically arranged to the way I had organised it thirty years before, though with a laptop on the desk rather than a transistor radio. Around each corner of the grounds lay a memory, sometimes uncomfortable, sometimes joyous. And, as I encountered each one, I realised that my visit was laying ghosts to rest. It is not only the school that seems to have found itself. So have I.